At Hasbrouck House, we offer private massage & yoga instruction by the Hudson Valley’s top professionals. Additionally, we’ve partnered with RidgeWell Fitness here in Stone Ridge to offer our guests complimentary access to the local fitness center and fitness classes. 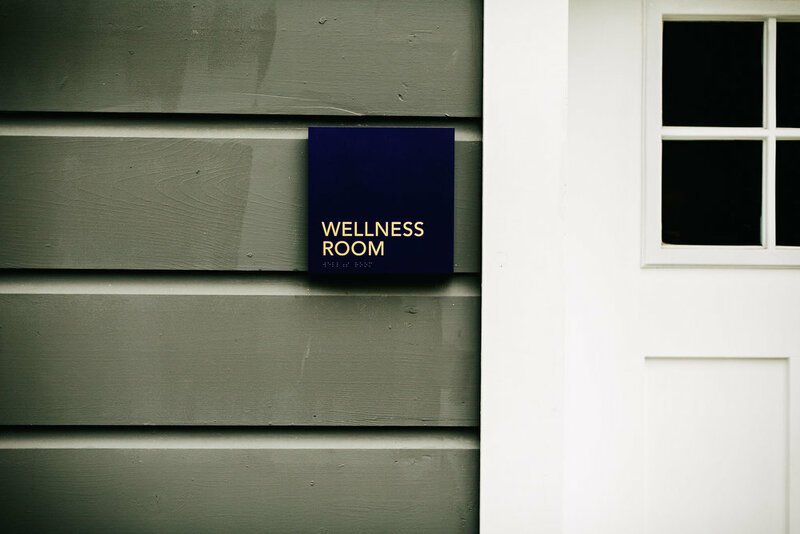 Our luxury wellness services are available by appointment only in our private wellness room, or we can bring the healing to you for a luxurious in-room experience. All in-house services must be booked at least one week prior to stay to guarantee availability. We will do our best to accommodate any booking requests that are requested with less than a week's notice. Any service canceled within 24hrs will be charged in full. To inquire please email hello@hasbrouckhouseny.com or contact the front desk at 845.687.0736. Massage can improve range of motion in the body, enhance immunity by stimulating lymph flow, promote tissue regeneration by improving circulation, and lessen depression and anxiety through the release of endorphins. Give your body the care it deserves. Two sets of hands, two tables and twice the relaxation. In a serene, shared space you and your loved one will receive hands on bodywork that will melt tension and restore your glow. Hands-on work to undo knots and to bring in soothing rhythms is an age old and cross-cultural remedy. Awaken, energize, strengthen and relax. Private yoga sessions are tailored to your individual needs to align your body, breath and mind, through the art of yoga. Hasbrouck House has partnered with RidgeWell Fitness to offer you complimentary entry to RidgeWell Fitness gym and provides access to various classes during your stay. RidgeWell Fitness is a gym focused on promoting healthy living and getting and staying fit. Their mission is to be the best gym in the Hudson Valley and offers daily classes and personal training sessions by fitness guru and owner, Fred Borzumato. To inquire about any fitness or wellness services please email hello@hasbrouckhouseny.com or contact the front desk at 845.687.0736.